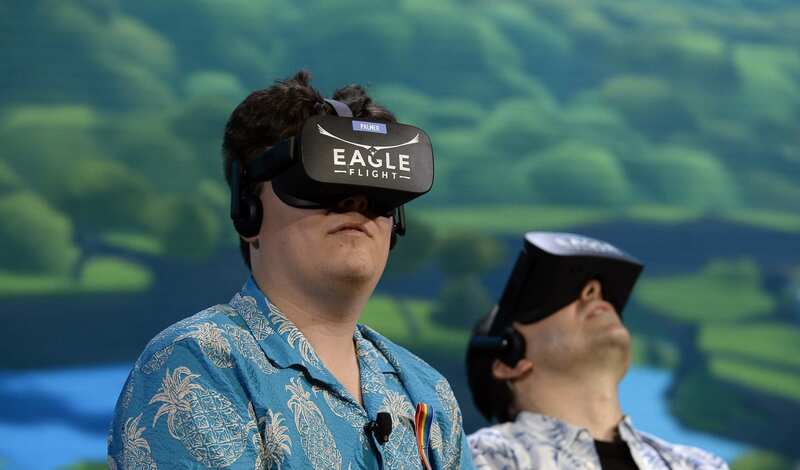 Facing claims by a number of developers (including Polytron, TomorrowTodayLabs and others) that they would not support the Oculus VR platform if he remained attached to it, Luckey apologized for the impact of his actions. Despite the group’s roots in the /The_Donald subreddit, the exec claims he is a Gary Johnson supporter in this election. Even with this statement, it will be tough for anyone to forget his link to people known for spreading memes with racist, homophobic and other offensive themes, but he says he has no plans to donate further. Unfortunately, the post also fails to answer our biggest question about the scandal — that someone out there is actually paying for 4chan-style posts and blatantly ignorant Pepe memes. That’s the kind of thing you do for the love, and seeing it commercialized by deep-pocketed private interests breaks my heart. Update: Apparently contrary to the statement, The Daily Beast reporter Ben Collins has posted emails from Luckey earlier in the week claiming he made the posts under the NRM name.